Project PAINT artists made work in response to the TEDxDonovan Correctional themes and exhibited pieces at the events. Reasoning with reality can mean to question reality, to plead with it, to bargain with it or to create one’s own version of it. One might do this through art, music, cinema, virtual reality, other creative outlets or using one’s own mind. It can mean using science to try to determine the very nature of reality itself. It can even be as simple as changing one’s perception. The question still stands: what is reality? Beyond the fundamental laws of physics, reality can be both objective and subjective. For some, reality is purely intellect and logic. For others, it is an amalgamation of faith, hope, love, intimacy and spirituality. Though we all inhabit the same physical world, our own personal realities are entirely unique. And it is because of this that we all must ask ourselves what does reality mean to us? And more importantly, how are we reasoning with it? Beyond the Surface is a journey into the unseen! This theme demands of us to participate in a mind-altering interaction that will challenge perceived notions, uproot entrenched biases and soften hardened stereotypes; to scratch the surface of what may be beyond our existing perceptions and take our hearts to places we never knew existed. The possibilities are endless. 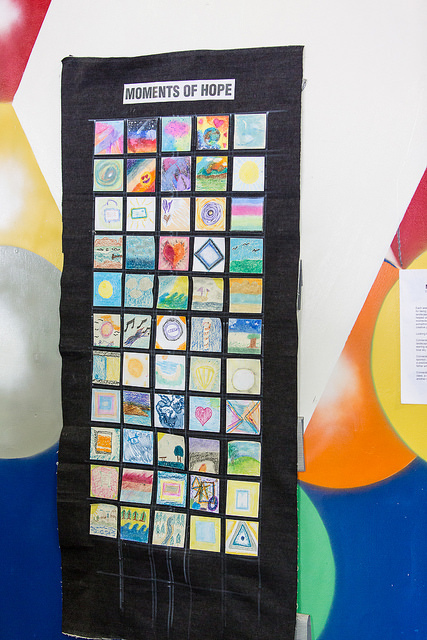 Project PAINT is supported by the National Endowment for the Arts, the California Arts Council, the California Department of Corrections and Rehabilitation and The William James Association.